If you’re reading this, you can’t say we didn’t warn you. Have a taste for radio rarities from the 60s? Maybe you were there, but need your memory jogged? Or maybe you appreciate a wide selection of great microbrews? Chief’s is where you want to be. The Sparks (Mark Loder, Rich Larson, Tom McCarty) present a distinctive retro repertoire. Downbeat at 6:30 pm. 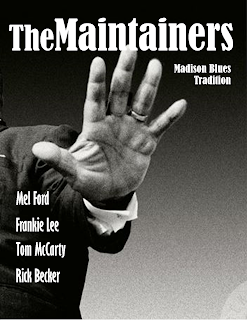 Harmonica man Ken “Birddog” Olufs brings together guitar man Mel Ford, bass man Tom McCarty, and drummer man Derek Hendrickson for a special Sunday night show at New Glarus’ place for great food, drink, and music. Special guests? Maybe! Music from 6 to 9 pm. Drummer Rick Becker (of Big Wes Turner’s Trio) lends a hand (both hands, actually, and feet, too) to Mazo-area local heroes Staff Infection. Every first Friday of the month they open up for a group of groovy guest artists in the friendly and comfortable confines of MMC Hall in downtown Mazo. Check it out! Harmonica man Frankie Lee teams up with Mel Ford, Tom McCarty, and Rick Becker for a FREE concert in the Olin Park Pavilion. 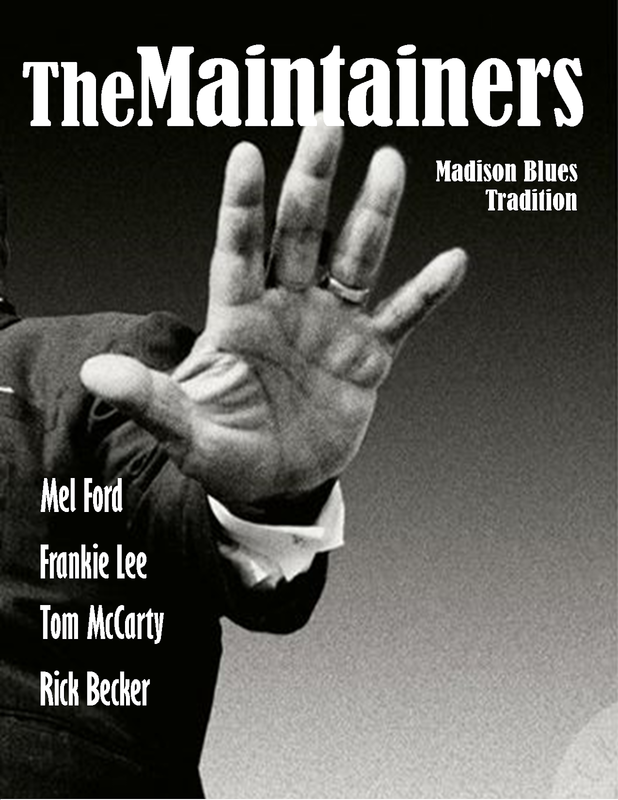 The Maintainers carry on the Madison Blues tradition that stretches back to the days of The Church Key and The Club De Wash. Enjoy a panoramic view of the Madison skyline and enjoy this gentle gem of the Madison parks system. Music from 6 to 8 pm. Same band as above, but this time at the aforementioned cozy den of eastside iniquity and live music hotspot.